SYDNEY (Reuters) – Customers of a cafe credited with pioneering Melbourne’s famous coffee culture piled flowers and condolences outside on Saturday, mourning its well-known co-owner who was stabbed to death in an attack police have called an act of terrorism. 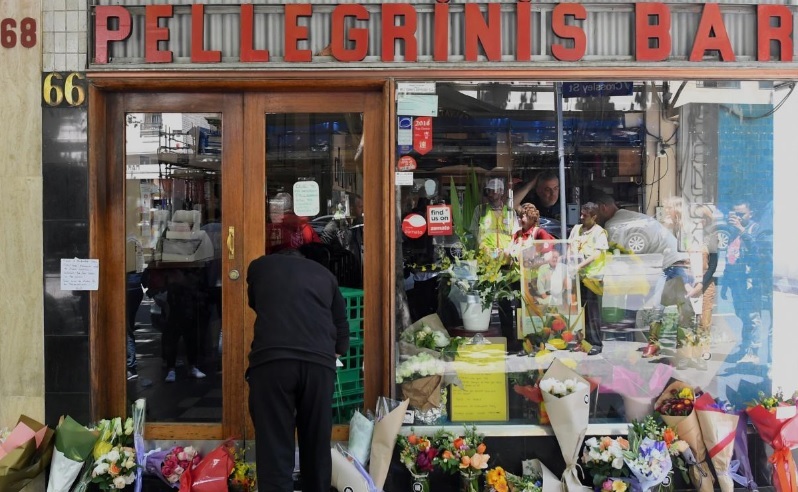 Sisto Malaspina, 74, a familiar face behind the coffee machine at the city-center Pellegrini’s cafe, was killed in the attack on Friday, his business partner Nino Pangrazio told The Age newspaper. “Many, many tears have been shed,” Pangrazio said. Police have not confirmed his identity, only saying a 74-year-old city worker was killed by a Somali-born man who set fire to a truck laden with gas cylinders just outside the cafe before stabbing three bystanders. The two others were wounded. 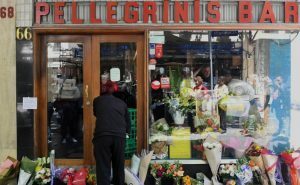 Pellegrini’s, a cosy corner bar with 50s-style checkerboard tiles on the floor, was closed on Saturday but dozens of customers gathered outside, leaving flowers and tributes on the doorstep. The phone rang out when Reuters called. “I’ve been going to Pellegrini’s since 1987. Never been to Melbourne without dropping in on my man,” Crowe wrote, one of many celebrities to pay their tributes. An Italian immigrant, Malaspina took over the cafe with Pangrazio in 1974, Pangrazio says in a Melbourne City Council video from 2014 that features the famous coffee house. They have hardly changed a thing about it since – serving espresso coffee and fresh pasta that Malaspina said in the video learned to cook from his grandmother. “Pellegrini’s has witnessed a lot of change over its 60-odd years – but embraced very little of it,” Hospitality Magazine said in a 2017 profile. “This is the way food should be done. It’s not contemporary food. It’s secular, traditional, home cooking,” Malaspina is quoted as saying in the article. “Everyone on this end of the city knew him,” Brendan Nottle, who has worked in an office across the street for two decades, told the Australian Broadcasting Corporation. “He had huge personality. He was always up and about, almost theatrical, in Pellegrini’s. He was a guy with a great heart,” he said, adding his death leaves a “massive hole” in the community.